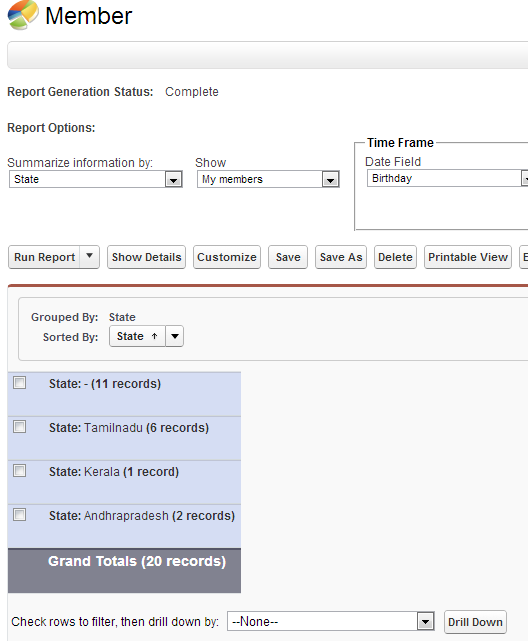 Check rows to filter, then drill down by in Reports in Salesforce is used to change the group by field in the report. It is available only in Summary and Matrix reports. In Matrix reports, it will change the row wise grouping field. 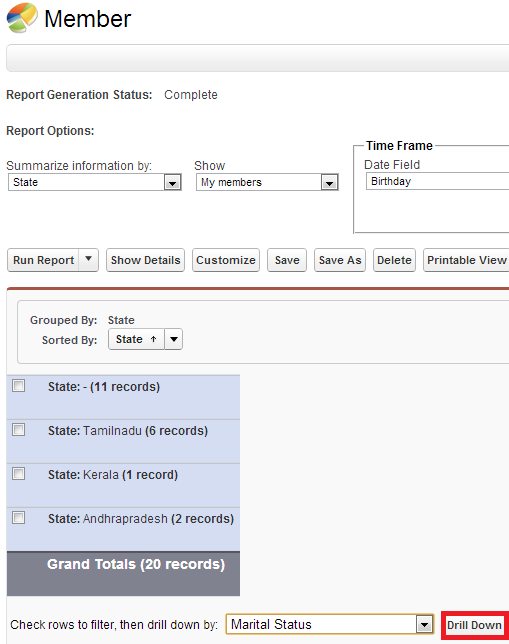 The above report is a Summary report in which grouping is done by State field. Let us drill it down my marital status field. Now the grouping is changed to Marital Status. Note: It is not allowed in Tabular and Joined reports. How to enable as Knowledge user in Salesforce? How to enable Quick Access Menu in Salesforce? How to avoid Recursive Trigger in Salesforce? How to enable My Settings in Salesforce? What are all the limitations in Apex Data Loader? How to enable order in Salesforce? How to deploy using aside.io? How to start renumbering every day in Salesforce? How to deploy support process in Salesforce? How to deploy business process in Salesforce? How code coverage is calculated in Salesforce?